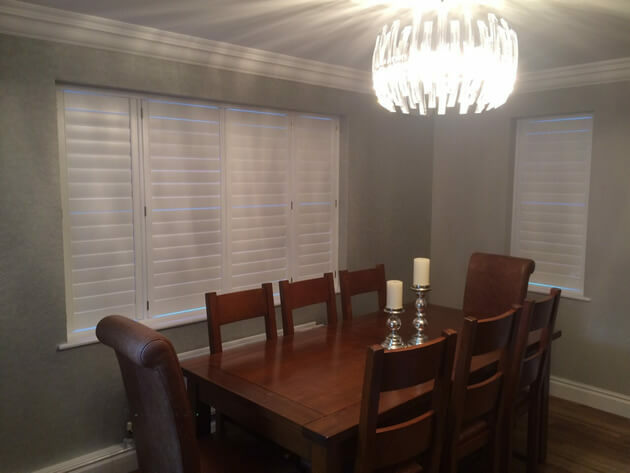 We were asked by a local customer if we could fit shutters in their dining room and bedroom at their home in Bromley, Kent. 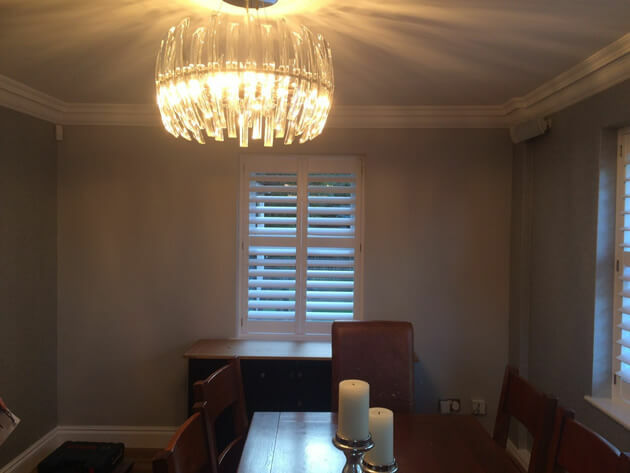 The client was looking to further enhance the modern feel of their home and a way of having full control of the light in the dining room area. 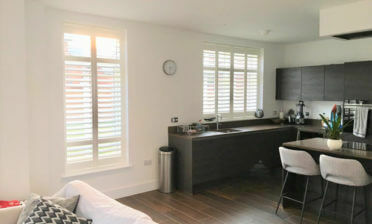 Using shutters from our Antigua Range we were able to create the perfect solution for both the rooms which were finished in Pure White matching the skirting and architraves. 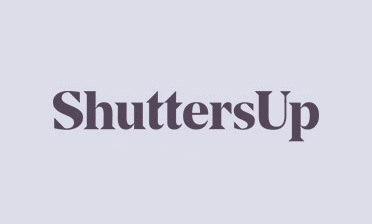 Our Antigua shutters are the perfect affordable solution for small to medium sized windows. 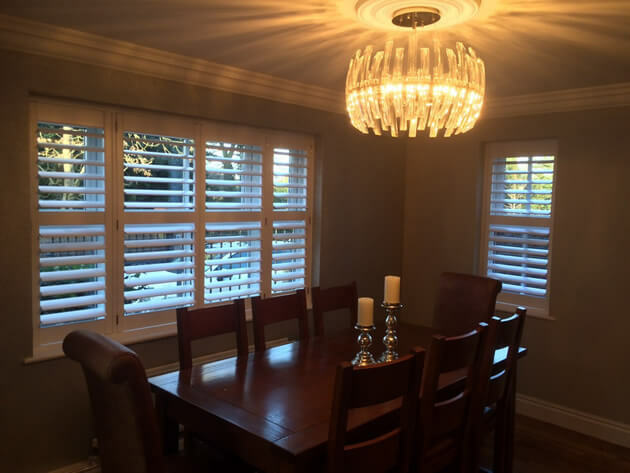 We used full height shutters throughout, with mid rails which not only help strengthen the shutters but allows for separate adjustment of the top and bottom sections of the shutters. 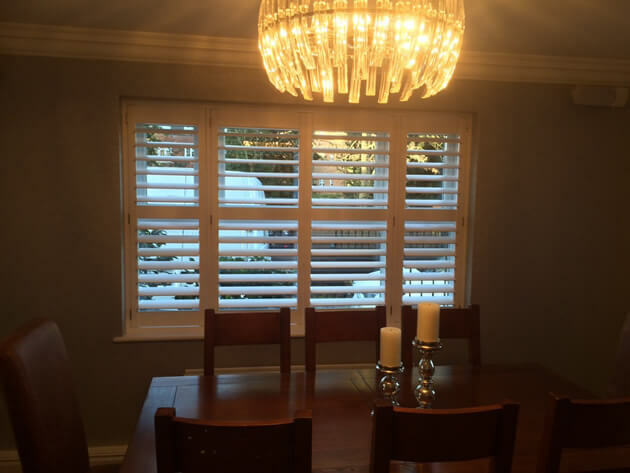 We used thick 89mm louvres with silent tilt rods which allows for operation without the need of a visible rod. 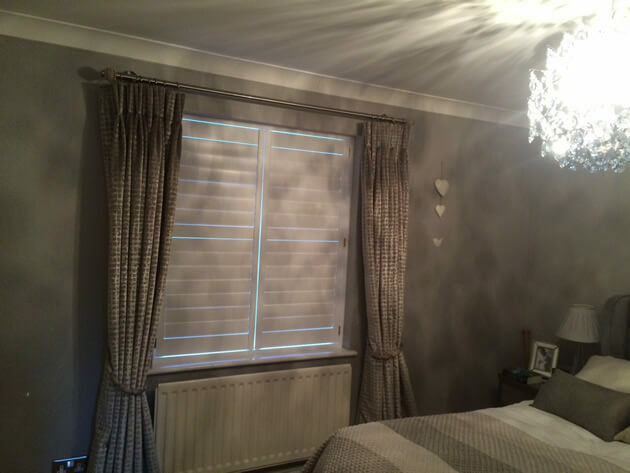 The customer also opted for some Brushed Nickel Hinges to complete the finish!